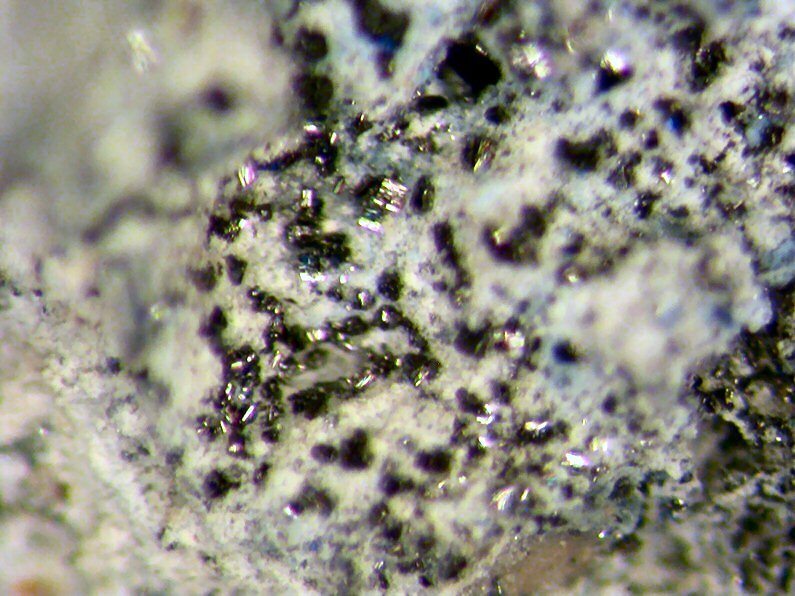 Comments: Black shining short-prismatic crystals of tugarinovite on whitish anhydrite with minor blue ilsemannite. Location: Kudriavy (Kudryavyi) volcano, Iturup Island, Kuril Islands, Sakhalinskaya Oblast', Far-Eastern Region, Russia. Scale: FOV is 2x1 mm.